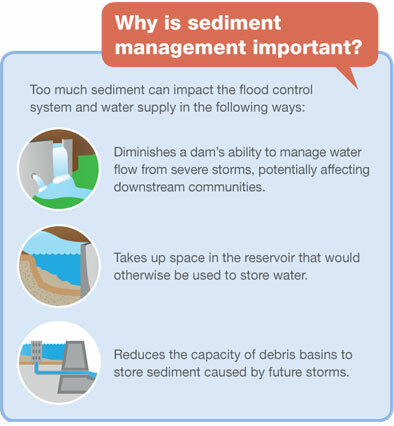 In recent years, the District has identified new challenges in managing sediment. In particular, the wildfires occurring in 2007 and 2009 burned a large portion of the County and have led to an increased inflow of sediment and debris within District facilities. This has put pressure on the remaining capacity of existing sediment placement sites, where the Flood Control District has traditionally placed sediment. 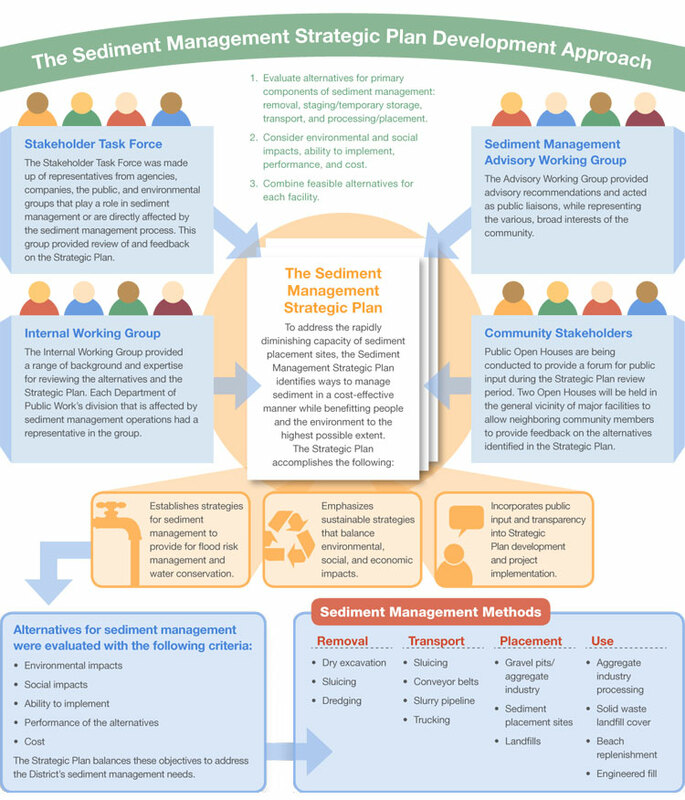 As a result, the District has developed a 20-year Sediment Management Strategic Plan (Strategic Plan) for years 2012-2032 that pursues new alternatives which can reduce the environmental and social impacts of sediment management. Ensuring the District is fiscally responsible in decision-making. The Strategic Plan is a living document that is open to other alternatives and may be revised in the future as conditions change. This Strategic Plan is intended to be an advisory document. Development of specific cleanout plans for the District’s numerous facilities will be guided by the Strategic Plan and provides opportunities for additional public input, including that from the local communities affected by each cleanout.